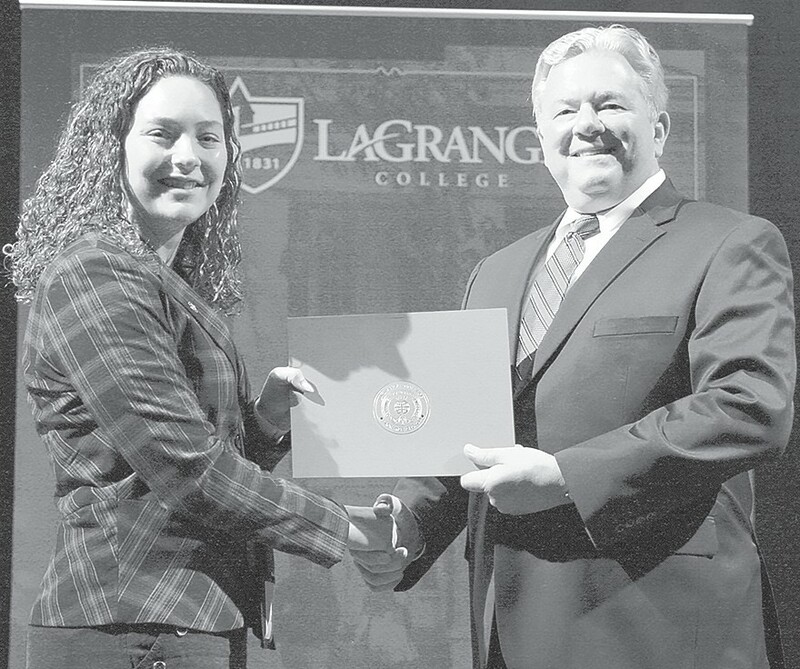 Senior Sam Davis, Oneonta, (pictured with LaGrange College President Dan McAlexander) recently participated in the college’s Presidential Scholar Weekend competition. At the competition, students were judged on their performance in group discussions, written essays and individual interviews. Students offered scholarships can utilize the awards in the fall of 2019, and the scholarships are renewable for the following three years.